Whether you are looking for your first office to move into, upsizing from an existing office or establishing a suburban satellite office, the market for office space can often seem homogenous. Most offices for lease or serviced offices include services such as; reception staff, office utilities and kitchen amenities. This provides for little differentiation when assessing the value of prospective offices for rent. The Greenhouse presents value beyond leasing serviced offices, joining the Greenhouse provides members with access to an established network of thriving businesses and professionals across a multitude of industries. All of our businesses benefit from organic networking in addition to regular networking events hosted by the Greenhouse, allowing for the development of strong business relationships. Many of our resident businesses collaborate on joint projects and refer prospective clients to other Greenhouse based businesses. The array of industries represented in the Greenhouse also provides greater visibility for our businesses to attract prospective clients. The Greenhouse is based in the heart of South Morang, with close proximity to the northern Melbourne suburbs such as; Plenty, Hurstbridge, Greensborough, Epping and Mernda. 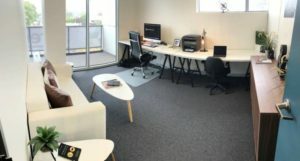 Offering a selection of serviced office suites for lease, casual boardroom hire and casual meeting room hire, the Greenhouse has a solution for you.